Are you plagued by joint problems? A groundbreaking new superglue-style material could help revolutionize treatments such as knee surgery by strongly adhering to the injured body part, and then conveying repair cells or drugs in order to stimulate tissue regeneration. Developed by two groups of researchers at Switzerland’s École Polytechnique Fédérale de Lausanne (EPFL), the new hydrogel material — which is composed of almost 90 percent water — naturally adheres to soft tissue such as cartilage or the meniscus. That’s not the only problem. Suturing a soft tissue such as a meniscus can be difficult when the suture is placed on a load-bearing part of the tissue. Having a material that sticks by itself to the tissue is therefore an interesting and potentially game-changing alternative. 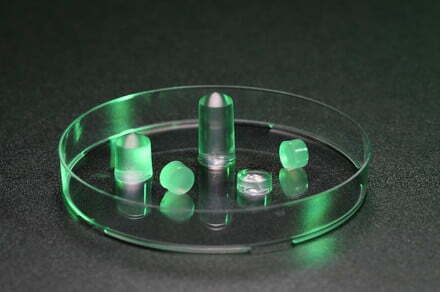 At present, the researchers have developed the gel itself. The next part of the study will involve combining the developed hydrogel with the necessary repair cells and other drugs to help carry out repairs. Hopefully, it won’t be too long before clinical trials can be carried out. A paper describing the research, titled “Composite Double-Network Hydrogels To Improve Adhesion on Biological Surfaces,” was recently published in the journal ACS Applied Materials & Interfaces.